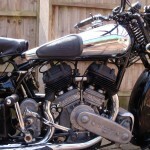 When defining a sports bike would it be safe to say the fastest motorcycle in an era is a sports bike? 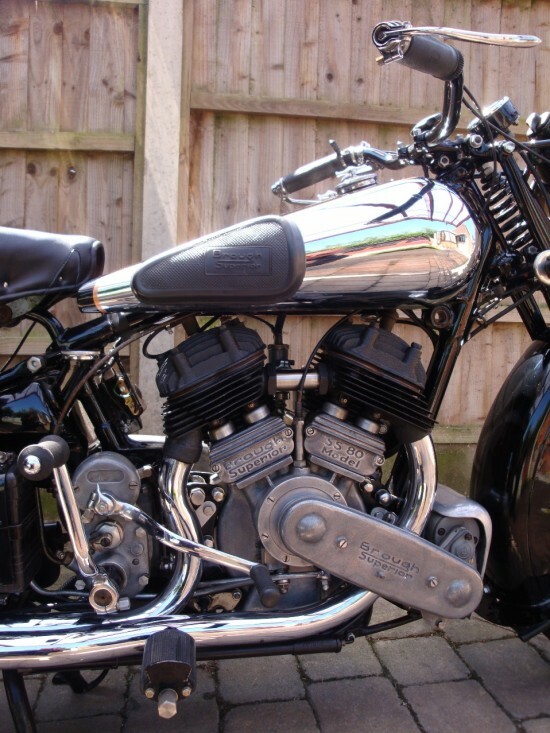 What if that motorcycle was developed to be a touring motorcycle and given the title “Rolls Royce of motorcycles? By default would it then become a sports tourer? 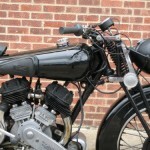 From 1919 until 1940 George Brough hunted down the best engine, the best frames, the best forks and put them all together in an attempt to make the best motorcycle. 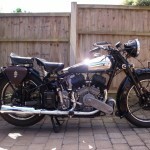 Many say that he succeeded. 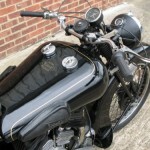 George was the son of a motorcycle manufacture, but wanted to distinguish himself from his fathers Brough Motorcycle company. 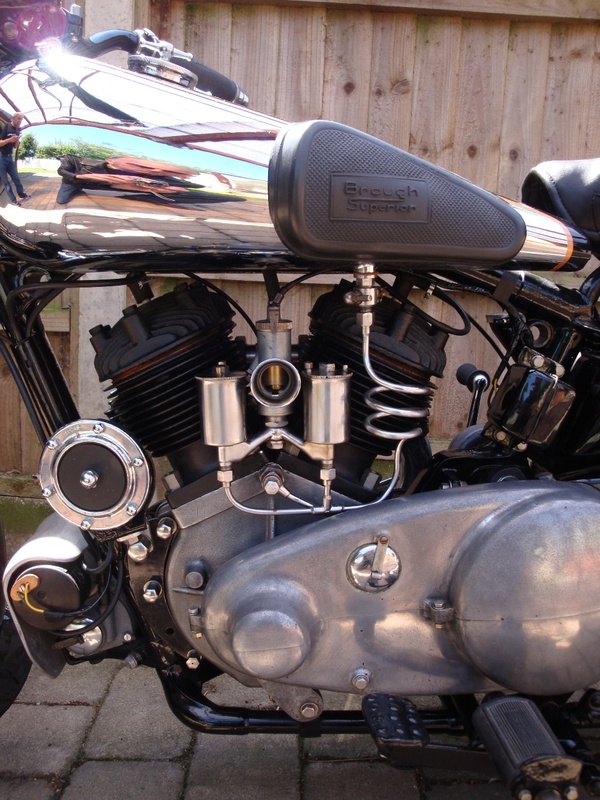 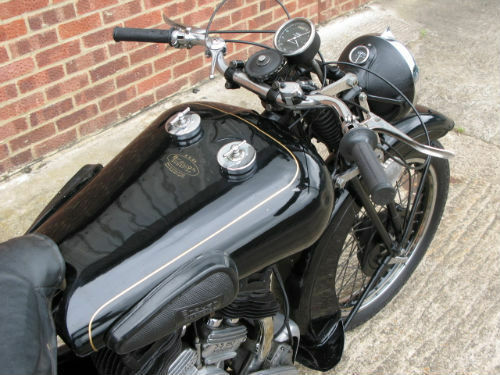 What better name then Brough Superior? 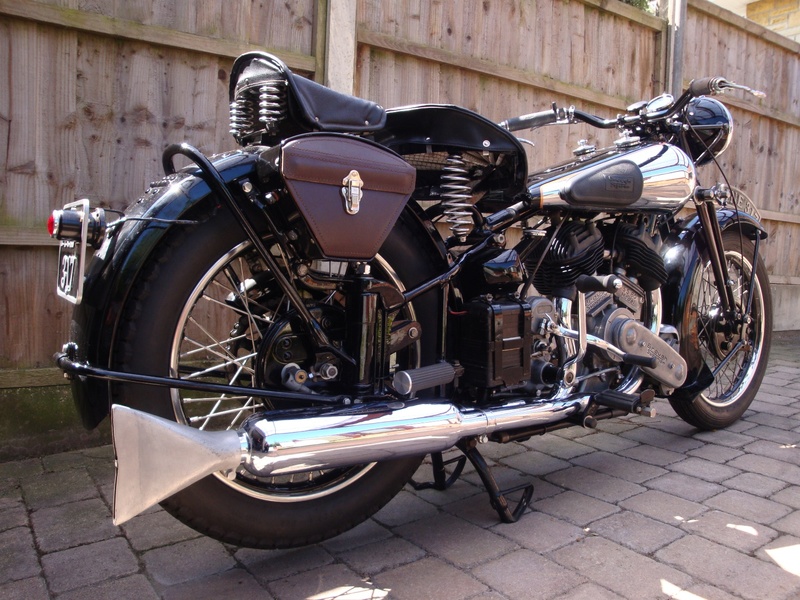 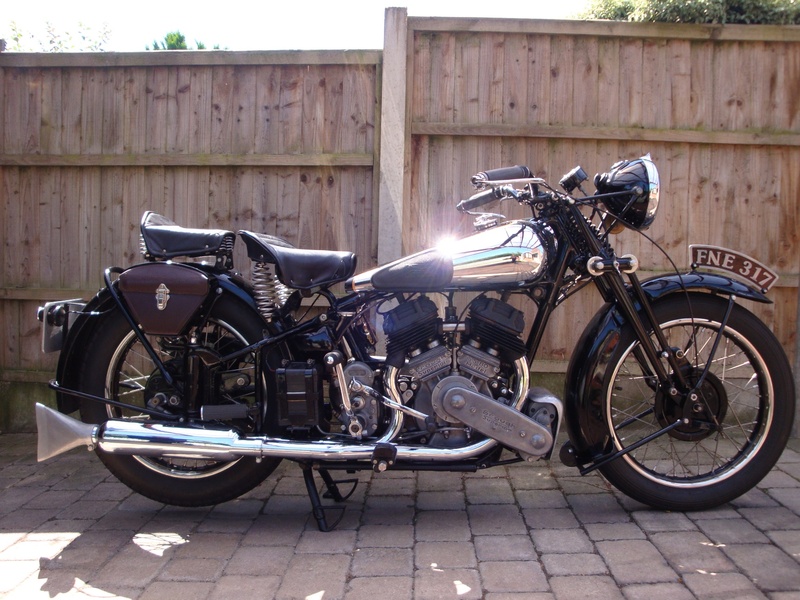 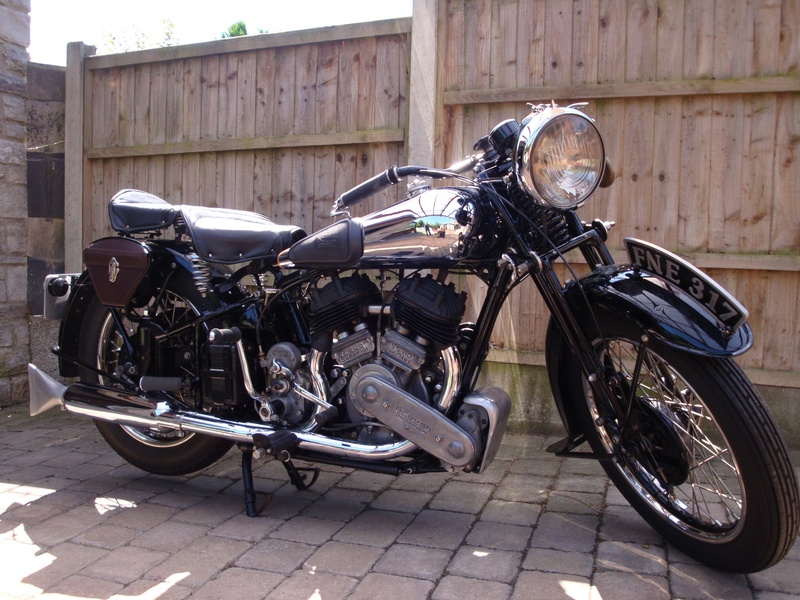 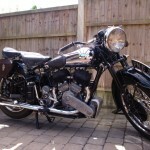 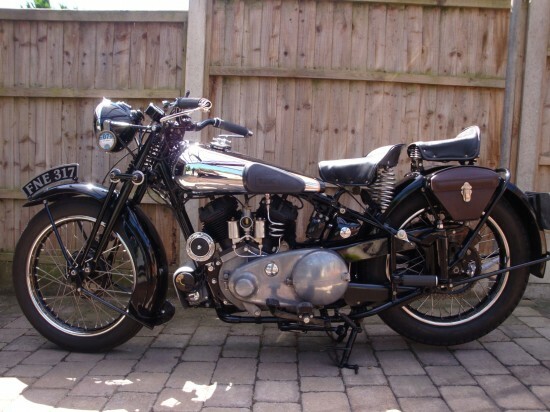 This first Brough Superior is a 1938 SS80 Deluxe offered from and appropriately name Venture Classics in England. 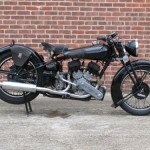 There were 3048 Brough Superior motorcycles made, with a few cars added, according to company records. 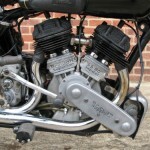 Apparently 1000 are left, so these two Brough Superiors are in rare company. 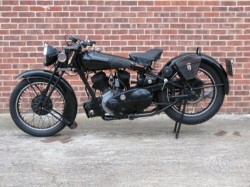 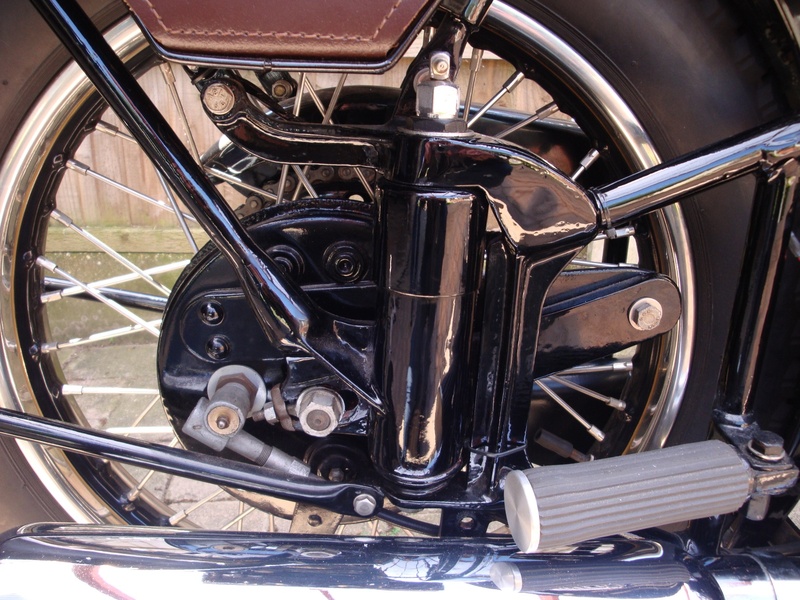 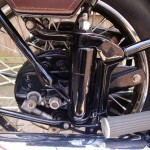 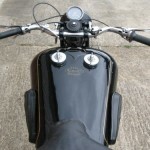 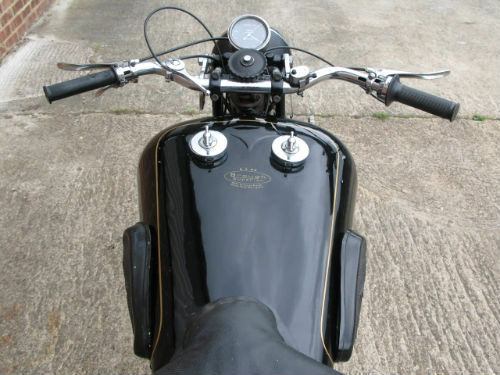 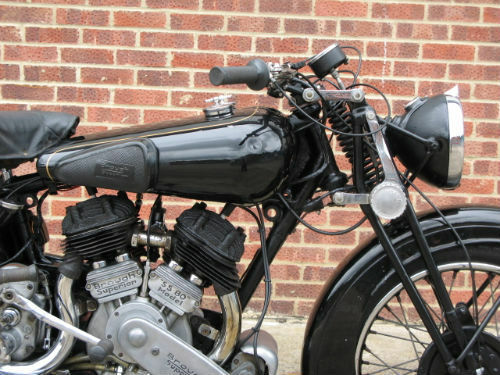 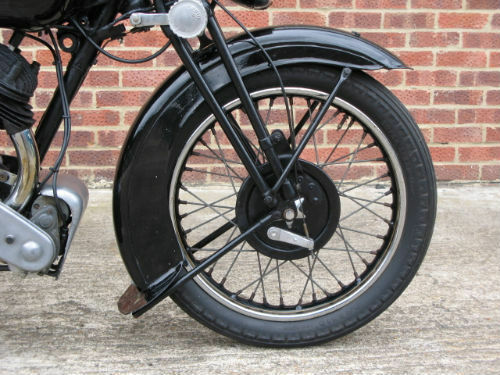 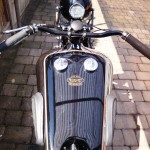 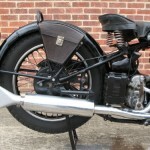 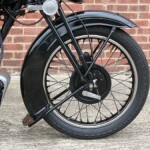 The SS80 is powered by either a J.A.P engine before 1935 or Matchless flat-head after. 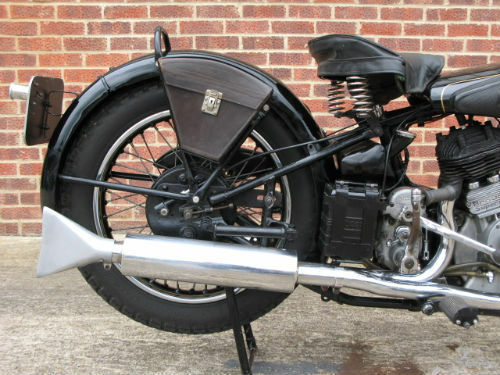 As implied in the name, the SS80 would have been able to sustain 80mph in a time when the speed limit was 30mph. 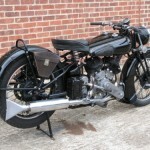 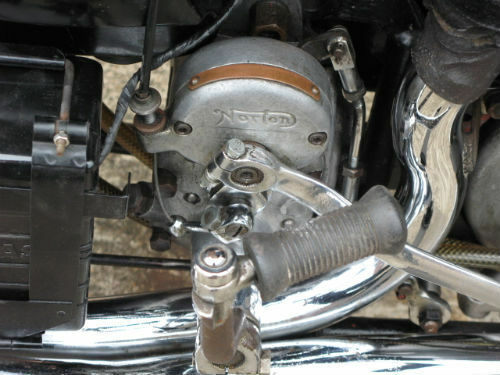 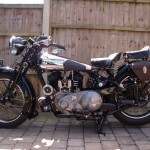 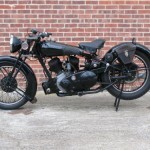 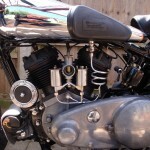 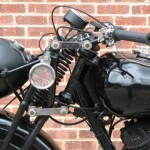 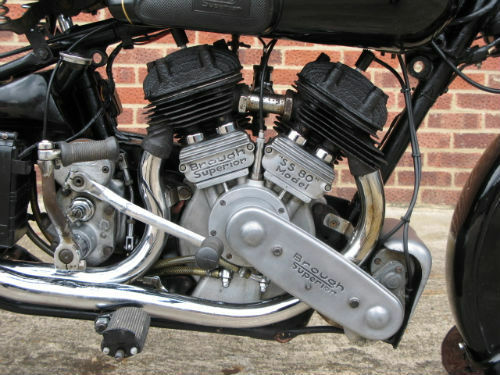 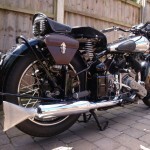 1086 SS80 were said to have been manufactures with 460 Matchless engines installed. When most motorcycle frames looked like bicycle frames, the suspension offered would have earned the Deluxe name. 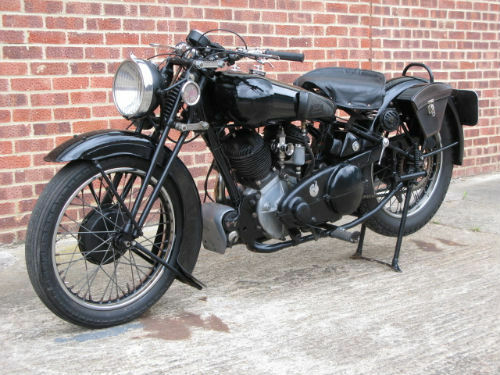 This second SS80 is from 1938 and also offered for sale in England, this time with eBay. 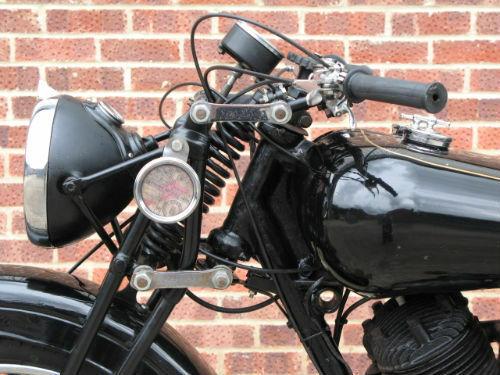 Like the one above it is special in that the first listed owner put his name on the side of the tank. 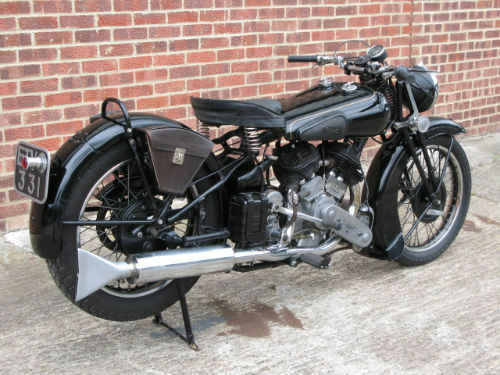 Frame number M8/1998 was dispatched from the factory 2nd July 1938 registered ETV 331, we have the original buff log book that shows the first registered owner as George Brough, Haydn Road, Nottingham (the original Brough works address) this document also bears his signature. 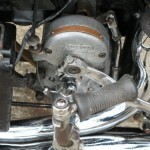 This surprised me. 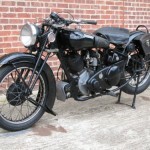 You would think that a bike with this provenance would be sold in a different venue. 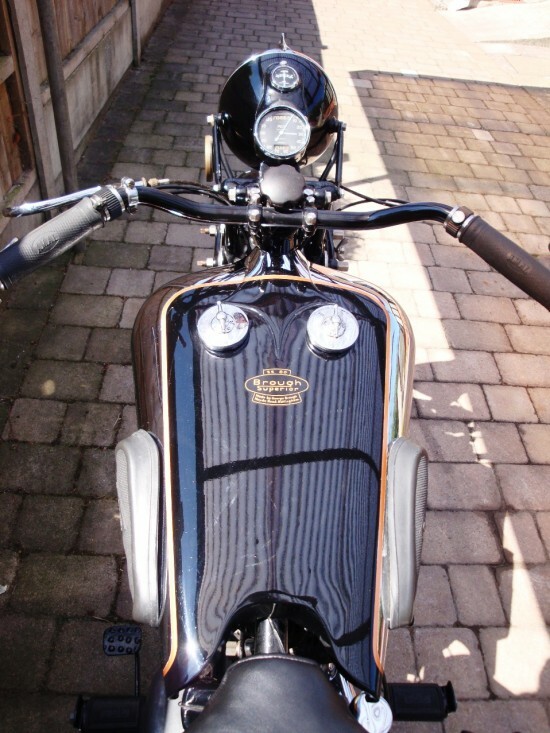 I would expect to see it roll across some velvet auction block were they serve Champagne while you bid. 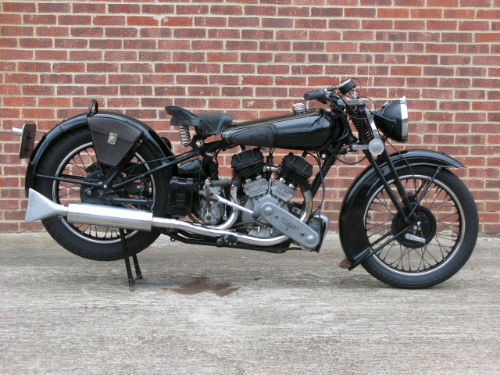 1936 Brough Superior SS80 With Sidecar!